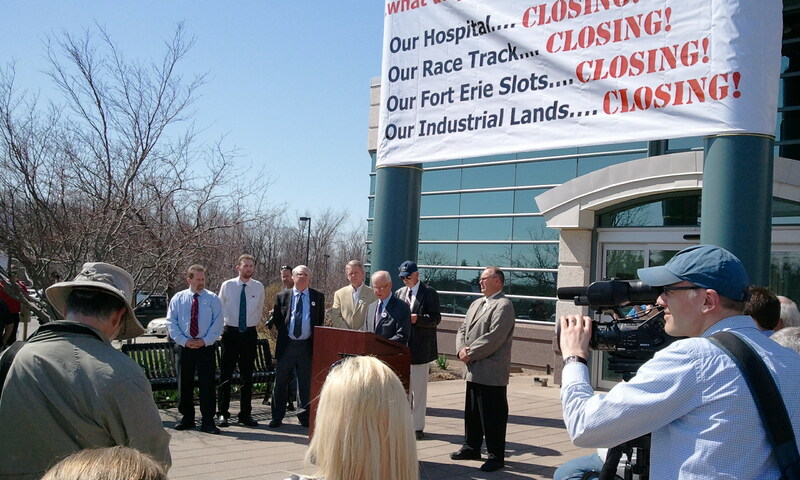 An interview with CBC television about the closing of the Fort Erie Race track turned into a rally at Town Hall. Many members of the public turned out to show support for the track, which is threatened by the the Provinces move to pull out slot machines.The event lasted roughly 30 minutes. The mayor began by stating “Thank you all for coming today. It is national news that the Province of Ontario has decided to close a number of OLG Slot facilities across the Province. It is national news that first to go is Fort Erie, Windsor and Sarnia.